A new Heritage Room display surveys the literary presence of the Nebraska Sandhills. Some of the most memorable work by Nebraska authors has emerged from this fragile and challenging landscape. Our new display includes memoirs and works of history, biography, natural history, fiction, and photography. The visual star of this display are the very striking black and white photographs from Charles Guildner’s portfolio “Lives of Tradition.” Guildner’s work was purchased in 2007 by Lincoln City Libraries with funds privately donated for that express purpose. The silver prints depict life on the Haythorn Ranch, a storied Sandhills ranch where the owners have continued to find a profit in using horses to do jobs that were mechanized almost everywhere else. Paul Johnsgard’s This Fragile Land: A Natural History of the Nebraska Sandhills (1995) provides a superb introduction to the ecology of the region, its geological history, its creatures and its conservation issues. Charles McIntosh, The Nebraska Sand Hills: The Human Landscape (1996) draws from a lifetime of study in presenting a complete scholarly historical geography of the region, its occupants and their conflicts, beginning with Native Americans. Superb sketch maps illustrate McIntosh’s discussions of different waves of occupation, settlement, conflict and economic development. Nellie Snyder Yost’s The Call of the Range (1966), her history of the Nebraska cattle industry, is still an excellent guide to the origins and history of the great Sandhills ranches and the cattlemen who built them. But above all, the history of the Sandhills is the story of great characters. The history of the Sandhills lives in the memoirs, autobiographies, and biographies of those who settled the area. 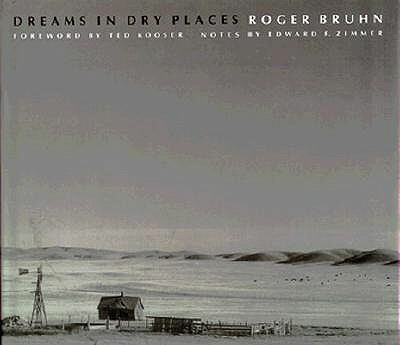 Their histories are one of the grand themes of Nebraska literature. Mari Sandoz’s great biography of her father, the irascible, violent, but indomitable “Old Jules” Sandoz would be the best known of the biographies. And Sandoz, settler, land-promoter, friend of the older generation of mountain men, wanderers and Indians, feuded incessantly with his neighbors, among them Bartlett Richards, the founder of The Old Spade Ranch, in its time, the largest and most famous of the great Sandhills ranches. The biography of Richards by his son, Bartlett Richards, jr. and Ruth Van Ackern reminds us that Richards, too, was an interesting and complex character. The Sandhills are cattle country, the region was poorly suited to the small homesteads that settlers moving in from the East imagined they might establish there. The resulting conflicts over fencing, leasing of public lands, water rights, and land use by settlers and cattlemen could turn violent. And with every policy change, ranchers seemed to come out on top over the long haul, besting the homesteaders, and acquiring their land. The ranchers were portrayed as real villains in the Eastern press, because in the East, no one really understood the futility of the broken dreams that died in the dry lands beyond the 100th meridian. Whether or not the story that Theodore Roosevelt told Bartlett Richards to his face that he would put Richards in a Federal Penitentiary is apocryphal, Richards died in the custody of the Adams County Jail, where he was being held on a Federal conviction for fraudulent land filings. But local lore remembers that in the Kinkaid era, settlers would often gather up in such numbers at the Old Spade Ranch for the noon meal that an additional table had to be put up for the cowhands. Richards felt obliged to feed such guests, and sometimes to loan them equipment, to keep them from starving on their homesteads. The landscape itself swallowed the dreams of the farmers, only the ranchers survived. To the biographies of Sandoz and Richards, and Lawrence Bixby, the “Preserver of the Old Spade Ranch,” in the crisis of the 1920s, one might add the memoirs of James H. Cook (1857-1942), Fifty Years on the Old Frontier (published in 1923), friend of Red Cloud and of the Northern Cheyenne and founder of the old 04 Ranch, and of his son Harold Cook, Tales of the 04 Ranch, which recounts the (fossil rich) Nebraska boyhood of the famous paleontologist. Perhaps we should remember the outlaw Doc Middleton as well. There are many more genuinely fascinating memoirs and biographies from the Sandhills than can be mentioned here. The Sandhills are featured in many mavellous photography books. A complete collection of these would overfill the display case: Margaret MacKichan and Bob Ross, In the Kingdom of Grass (1992), Michael Forsberg’s Great Plains: America’s Lingering Wild (2009), David A. Owen, Like No Other Place: The Sandhills of Nebraska, Photographs and Stories (2010), Roger Bruhn (Foreword by Ted Kooser), Dreams in Dry Places (1990), Georg Joutras, Along the Edge of Daylight: Photographic Travels from Nebraska and the Great Plains(2005) would be among them. Michael Forsberg was a recent Ames Reader, and Lisa Norman’s Haythorn Land & Cattle Co.: A Horseman’s Heritage: A Pictorial Essay was also mentioned in an earlier post. I have used some of their covers to illustrate this posting. The Heritage Room maintains a Nebraska Sandhills Book List on its home page. John Janovy Jr. has lived in Nebraska since 1966. He holds the Paula and D.B. 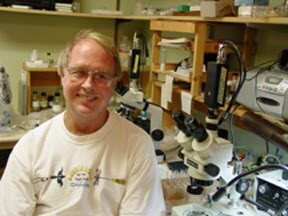 Varner Distinguished Professorship in Biological Sciences at UNL. He has been Director of UNL's Cedar Point Biological Station, Interim Director of the Nebraska State Museum and secretary-treasurer of the American Society of Parasitologists. He is a distinguished scientist, with a research interest in parasitology, and the author of over 90 scientific papers and book chapters. In addition to his scientific career, Janovy has also pursued a literary career writing natural history and social and cultural commentary informed by the practice of the scientist. Janovy's 1978 Keith County Journal put him in the front rank of America's natural history writers, with reviewers comparing his work to writing by Loren Eiseley and by the pioneer ecologist Aldo Leopold. Janovy's publications span a wide range of topics, and include, besides natural history titles, Fields of Friendly Strife: The Relationship of a Father, Daughter, and Sport, and Conversations between God and Satan: Held during October, 2004 at the Crescent Moon Coffee House in Lincoln, Nebraska, USA, Earth, Milky Way, a work of science fiction. Janovy's literary career spans enormous changes in publishing. Janovy endured rejections by 22 publishers before St. Martin's took Keith County Journal, and a newspaper reviewer noted that a later book garnered 42 rejection slips before reaching a more perceptive editor. 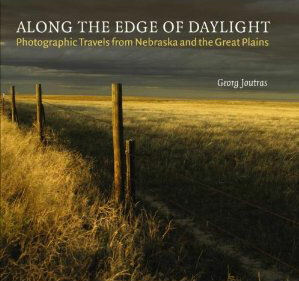 A local publisher who knew the writer and wanted him to write freely on Nebraska related themes solicited the manuscript for Janovy's 2009 Pieces of the Plains: Memories and Predictions from the Heart of America. 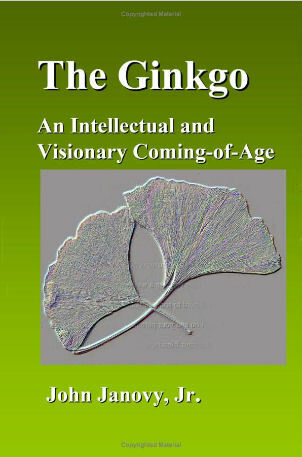 Janovy has used CreateSpace.com and Amazon's Kindle to self-publish his novel, The Ginkgo, in both paper and electronic formats. Janovy is a writer who is interested in his audience, especially young people, and is willing to take chances and say what he wants. Heritage Room collections, by the way, include Janovy's artwork as well as his books. The program begins at 2:00 PM Sunday, February 20th in the Heritage Room on the 3rd floor of Bennett Martin Public Library in downtown Lincoln. Please join us. We look forward to a fascinating program.